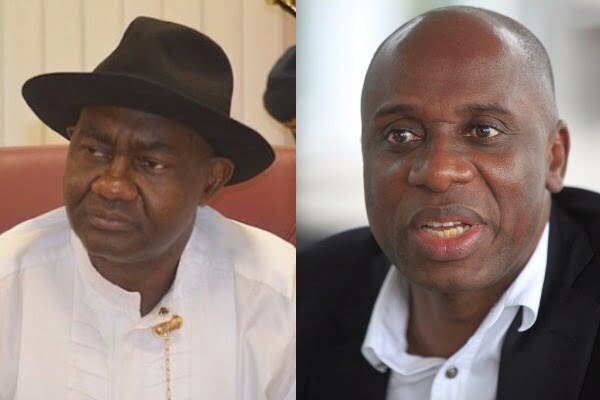 The All Progressives Congress, APC, in Rivers State has reacted to comments credited to Senator Magnus Abe against leader of the party in the state, Chibuike Amaechi. Speaking during the week, Abe had stated that the State Governor, Nyesom Wike, warned him against Amaechi. The APC said the Senator has started to fall for the Governor and the Peoples Democratic Party, PDP, adding that the party was not afraid. The secretary of the party in the state, Emeka Beke told Vanguard yesterday that Senator Abe was compounding matters with his seeming determination not to toe the common path as agreed by major stakeholders in the party. Senator Abe is claiming that Amaechi and his close associates were against his 2019 governorship aspiration. Beke said, “Clearly, after the rerun, the leader of the party in the state, Amaechi addressed the party on the need to rebuild and make the party formidable. He stressed the need for the party to be strong. “But Abe refused to abide by the advice. Nobody has stopped or intends to stop him from running in the election. Amaechi is not against him. But the position of Amaechi is that we need to build the party to be able to stand the PDP in the election. “It is obvious that Abe is beginning to fall for the PDP and Governor Wike. But APC is not afraid of that development. Those who believe in APC are not going to Wike for anything but Abe is.